Talay Thai is a spot I’ve been meaning to hit up for a long, long time. With a continual stream of raves around the web, I got to figuring that this place was a sure thing. This is one vibrantly colored, tiny room. It’s about as clean as you could imagine, to boot. The moment you enter there’s a warm, comfortable vibe. I’m sensing a great feed! 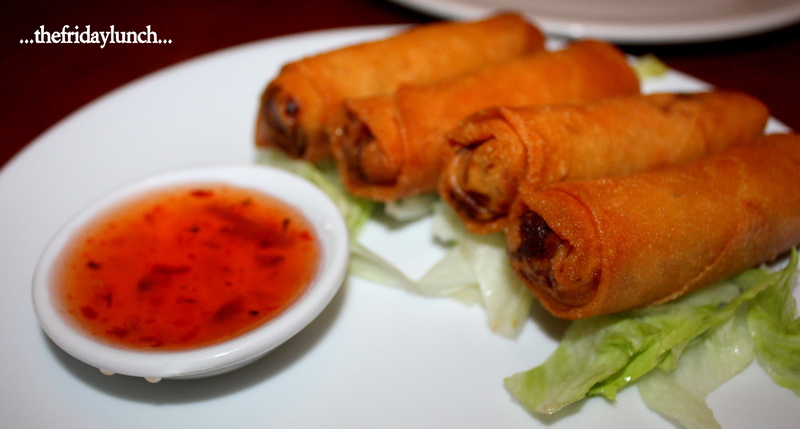 Por Pia Tod ปอเปี๊ยะทอด (Vegetarian Spring Rolls). Nothing too spectacular yet really well made. Knowing the plum sauce is homemade gave these a step up. It’s not too often a place will take the time and effort to create their own. 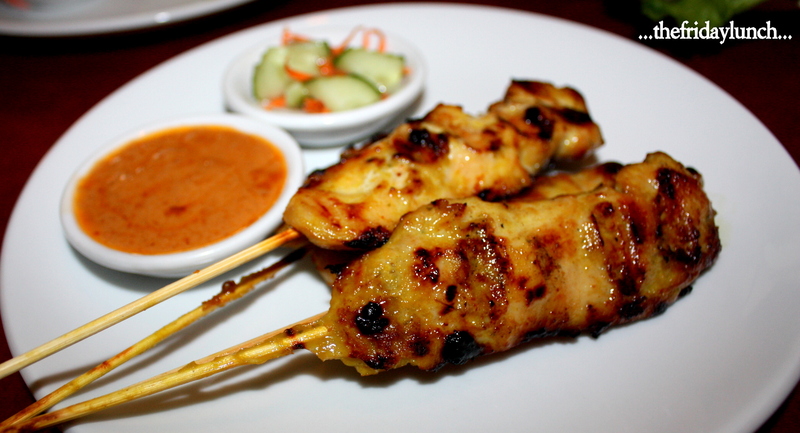 The Satay Chicken were sensational. Just plump enough to withstand the grill time without getting dry. A good, long marination gave these so much flavor that the peanut sauce was almost unnecessary. 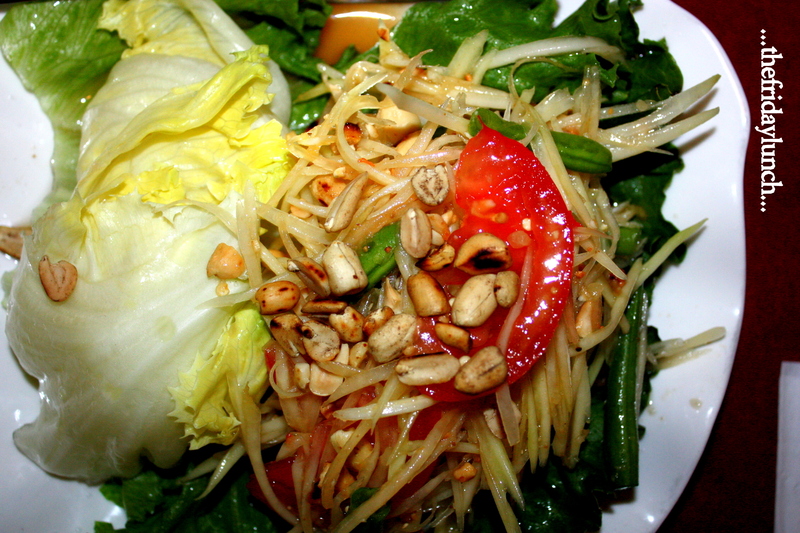 After having an excellent Som Tum ส้มตำ (Spicy Green Papaya Salad) at Lhy Thai, I thought we’d be in for a letdown. Not to worry. This hit the mark. It’s a veritable explosion of flavors. Crisp green beans, tangy shredded papaya, crunchy toasted peanuts swimming in a sweet and sour chili-lime mix with savory fish sauce and shrimp paste to round it all out. Thailand on a plate. When we placed our order and were asked for a heat level, the consensus was “medium”. 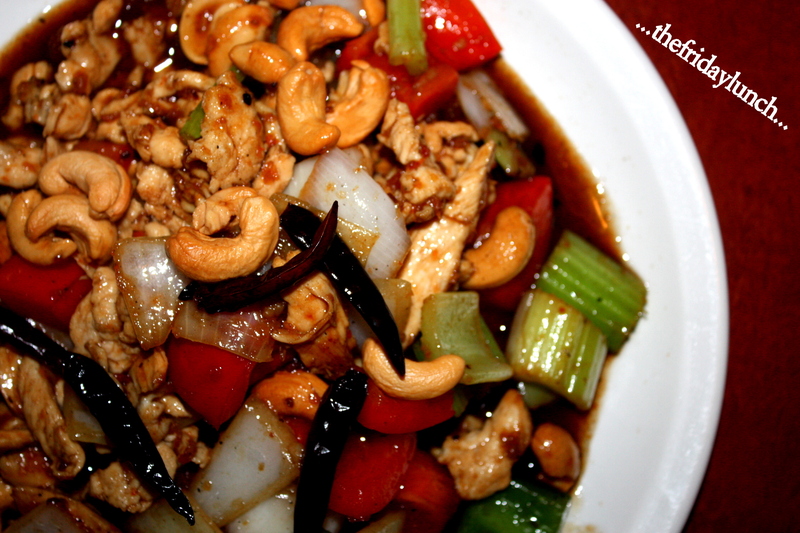 Therefore, I threw on an order for Phrik Nam Pla พริกน้ำปลา (Thai chilis in fish sauce). This ranks on the upper end of any heat scale. A great combo of flavors but the level of fire here blew away the roof of my mouth. The smallest of spoonfuls was enough to set me ablaze. For a curry, we went with an all-time favorite, Panaeng พะแนง. Talay Thai’s version is stellar. Rich, dense, nutty and incredibly creamy. Although served with pork, this would be perfect without any choice of meat. The pork almost gets in the way of the myriad flavors going on here. Incredible. Instead of the traditional Pad Thai, we went for another, intriguing noodle dish…Pad Kee Mao ผัดขี้เมา (Drunken Noodles). This can a very versatile dish. In this case there’s beef, peppers, celery and onion decked out with fried basil in a mix of sweet soy, oyster sauce, garlic and fish sauce. Aside from the slightly overcooked beef, another great plate. 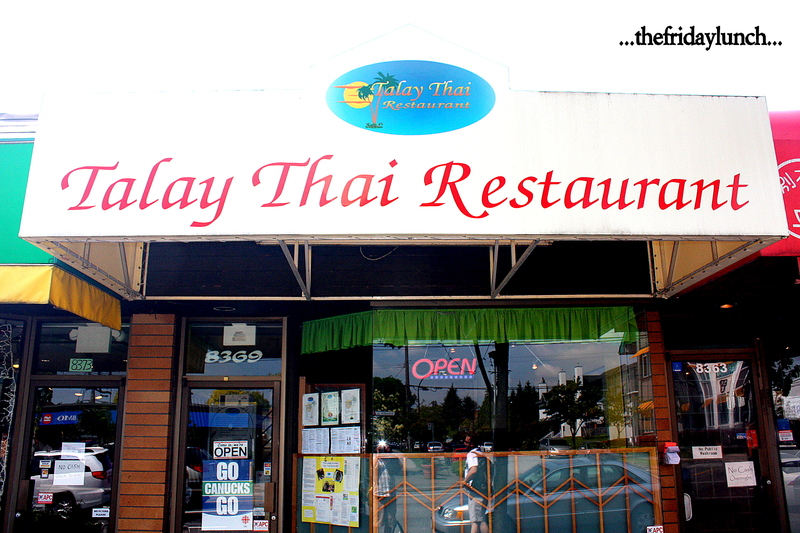 From great service and a warm, welcoming environment to the carefully prepared food, Talay Thai ranks up there with the best Vancouver has to offer. This entry was posted on May 30, 2011 by Karl. It was filed under Curry, Pad Kee Mao, Satay, Som Tam, Spring Rolls, Thai, Vancouver and was tagged with Skewers, Thai, vancouver. Hi Karl, based on the number of posts you’ve put up for Thai restaurants lately, it sounds like you need to get to Thailand soon! Have you ever been before? 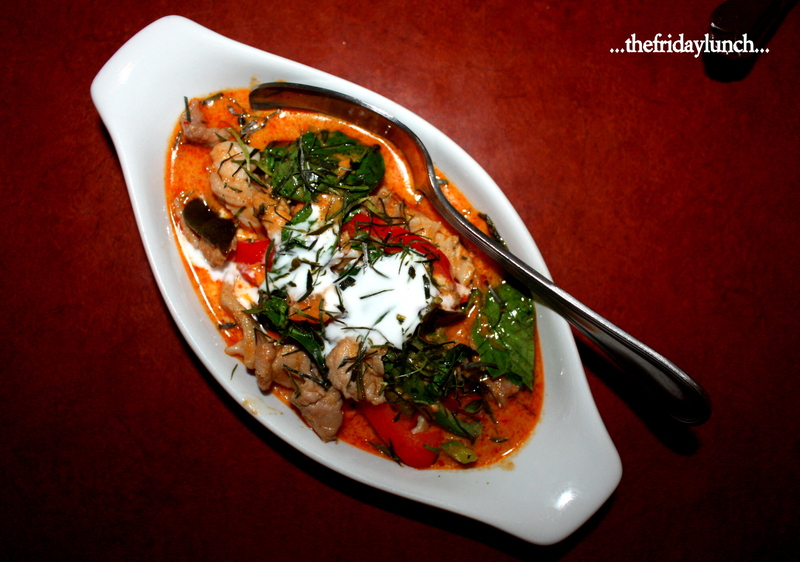 Talay Thai looks great – I’m going to have to give it a try when I’m having a craving. I love Pad Kee Mao and haven’t found a decent one at many places in town. Hi Victoria, Thailand’s in the works! I’m aiming for next April to catch the Water Festival. 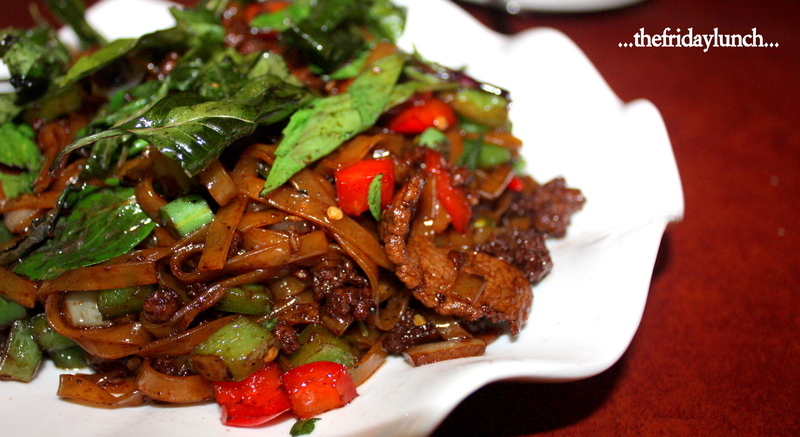 The Pad Kee Mao was pretty good…loved the copious amounts of fried basil. Worth a visit! Oh how I miss going to Thailand. 😦 Chicken looks nice and juicy as you described, and the papaya salad is a welcome find in this city. Will have to endeavor to check it out one day soon! That was one of the bests satays I’ve had. Not as big as Bo Laksa’s but packed with flavour. Hope you make it out there. I’d be interested in your take, as well as Victoria’s, of course! This is a really great restaurant! I’ve been going to Talay Thai since it opened. Lucky for me that it is in my neighborhood and I love Thai food so much. 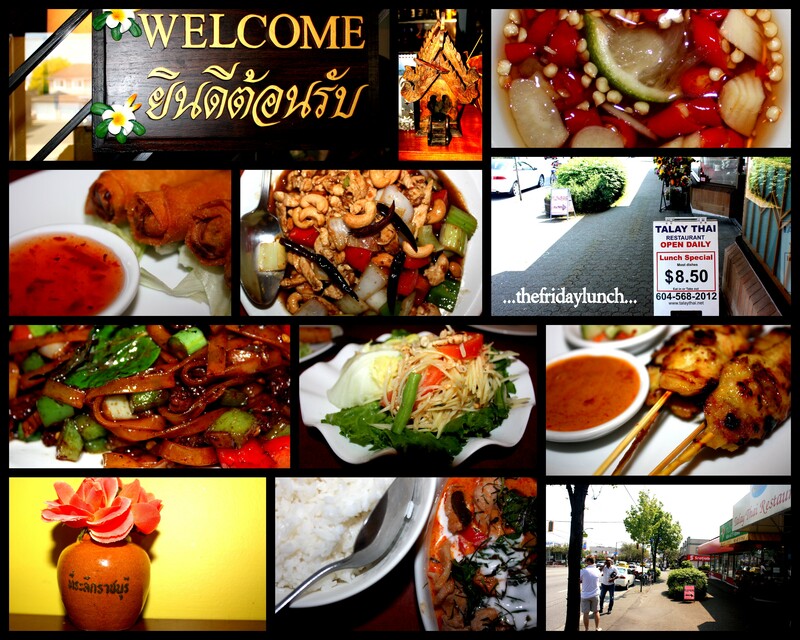 The thing about Talay Thai is that it is AUTHENTIC Thai food. 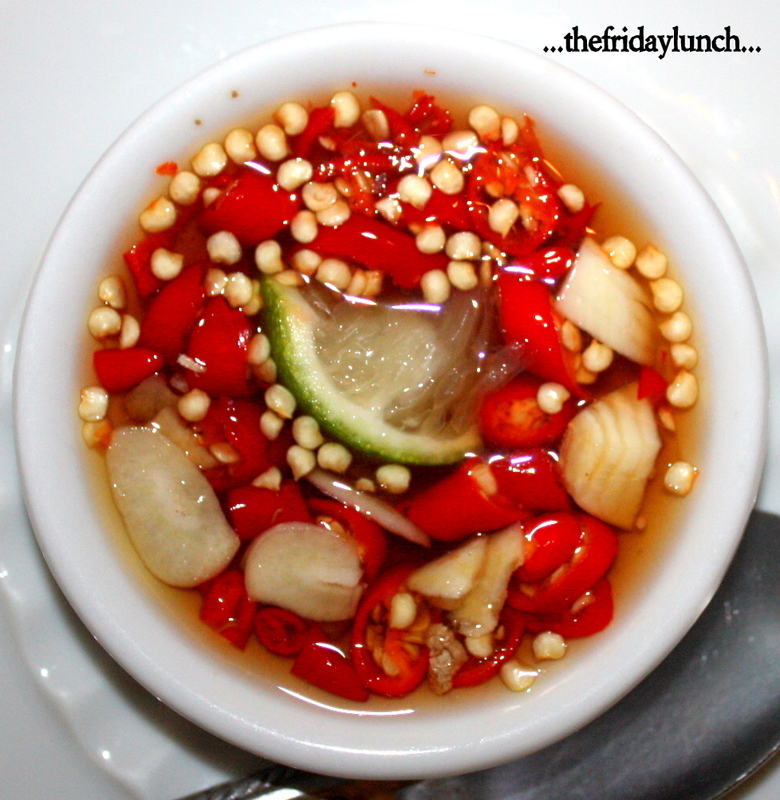 As a frequent traveler to Thailand I know the difference between authentic and fake Thai food. This restaurant is owned owned and operated by Thai people so you won’t get Chinese food pretending to be Thai cuisine! If you want to try the real thing do your taste buds a favour and pop over to Tala Thai.